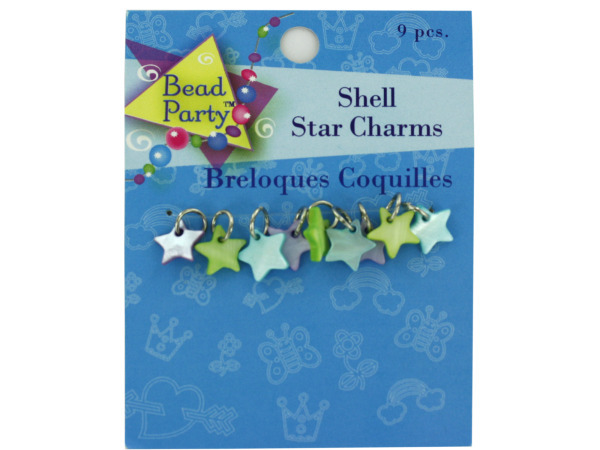 "Anyone can be a star when they add these pretty star CHARMs to beading projects, paper projects and fabric projects. Includes 9 CHARMs. Each of these petite stars measures 1/4"". Colors include purple, green, blue and yellow." 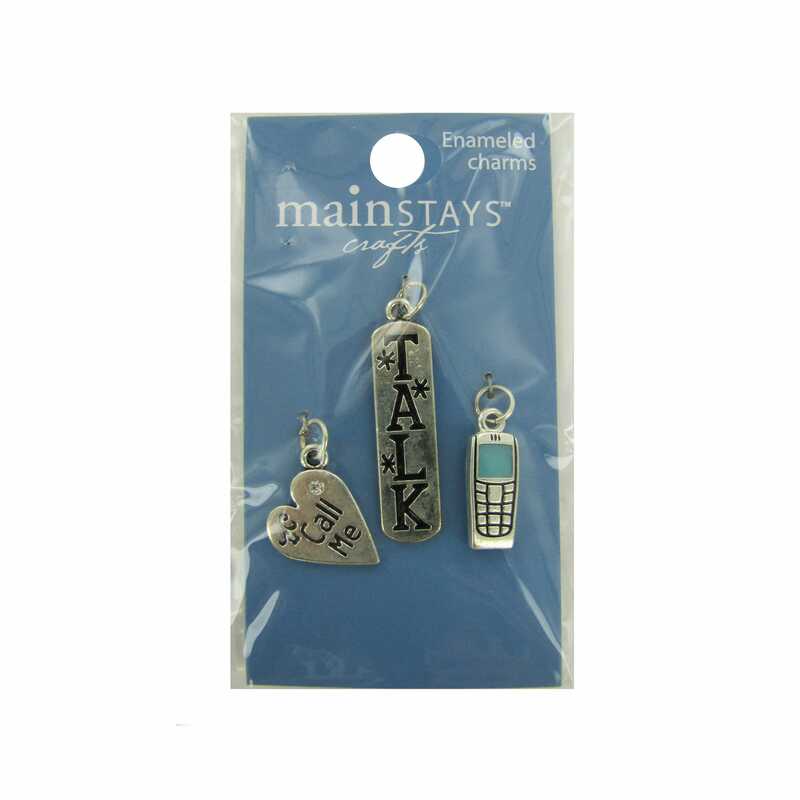 "These fun CHARMs are ideal for a teen's phone. Simply attach to the cell phone and enjoy the little jangle that results. 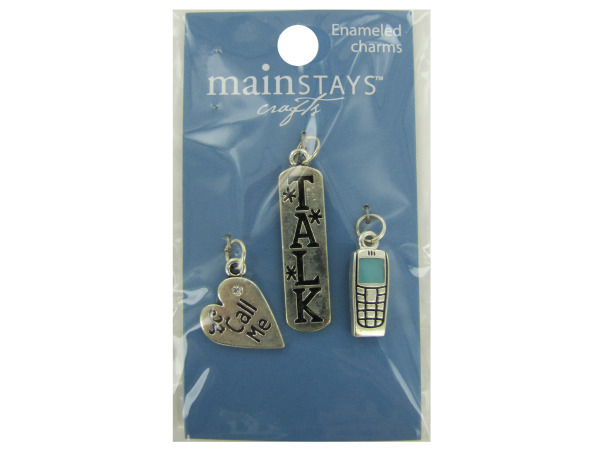 Set includes three CHARMs to mix and match: A cell phone, a CHARM that says ""talk"" and a heart-shaped CHARM that says ""call me""." "These pretty bicone beads are sure to add a sparkly and special element to any beading project. Colors include pastel green, blue and pink. Includes 18 CHARMs. 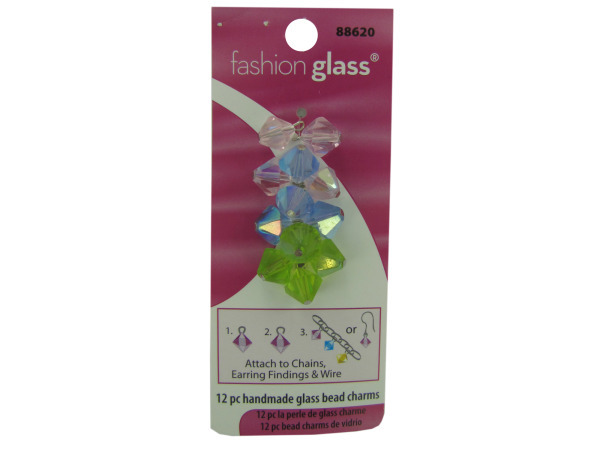 Simply attach to chains, earring findings and wire for a surefire special add to any of those projects." "Opaque and transparent red glass beads and silver metallic discs form a path around a heart-shaped stamped CHARM. Measures 7 inches long, and also has a 2 inch extender." 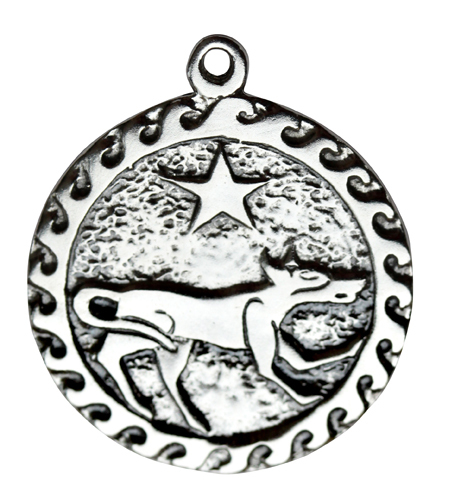 "Made by the 15 young people of Zakale Creations, this piece features bone animals on a handmade brass chain." The delicate cloisonne beads add exquisite detail to this CHARM bracelet featuring coins from China. $0.35 each one bead when purhased by the pack of 100pcs. Assorted colors and prints. $0.35 each one bead when you purchased by a pack of 100 pcs beads. Assorted colors and prints. Due to our large inventory we are offering a mix & match special on all Scarf/Necklace with CHARMs in this category. Please read full description for terms and conditions. Due to our large inventory we are offering a mix & match special on all scarf CHARMs in this category. Please read full description for terms and conditions. $0.75 (was $1.75) each when purchased by 2 dozen [1 unit]. $0.50 (was $1.50) each when purchased by 6 dozen [3 units]. Assortment may vary for each unit. Scarf Necklace--Crescent Moon with End CHARMs 70"
$1.75 [was $3.00] each when purchased by the dozen. $1.00 each when purchased by 12 dozen [144pcs]. $0.50 each when purchased by 65 dozen [780pcs]. Assorted colors. $0.75 (was $1.75) each CHARM when purchased by the dozen. $0.50 (was $1.50) each CHARM when purchased by 6 dozen [72pcs]. Approx size: 2.75". 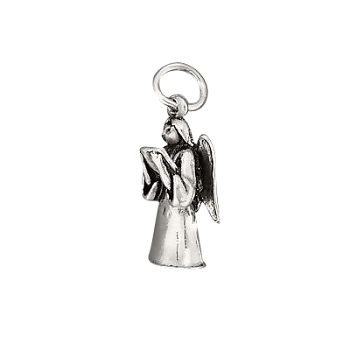 Sterling Silver Angel Holding Hymnal CHARM Pendant. The length of the angel with the loop is 1 inch. 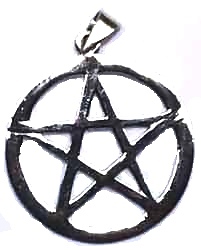 The pendant weighs 3.6 grams. 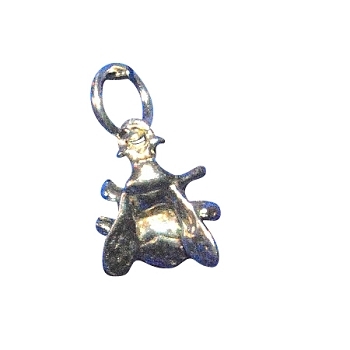 New 925 Sterling Silver HouseFly CHARM Pendant. 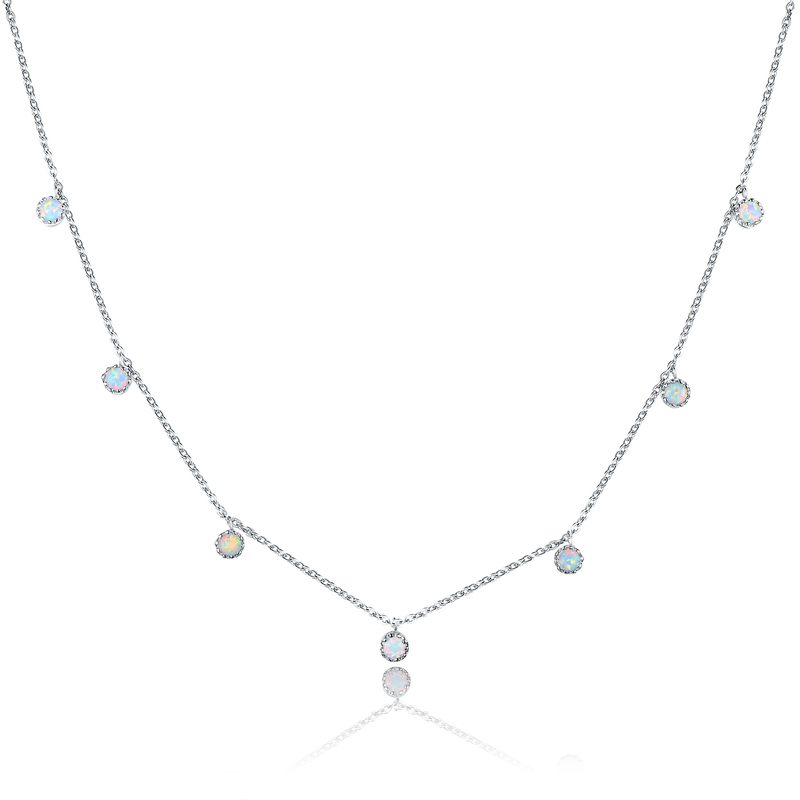 These 18K white gold plated CHARM necklace features white fire opal stone. The bracelet is secured by lobster clasp. 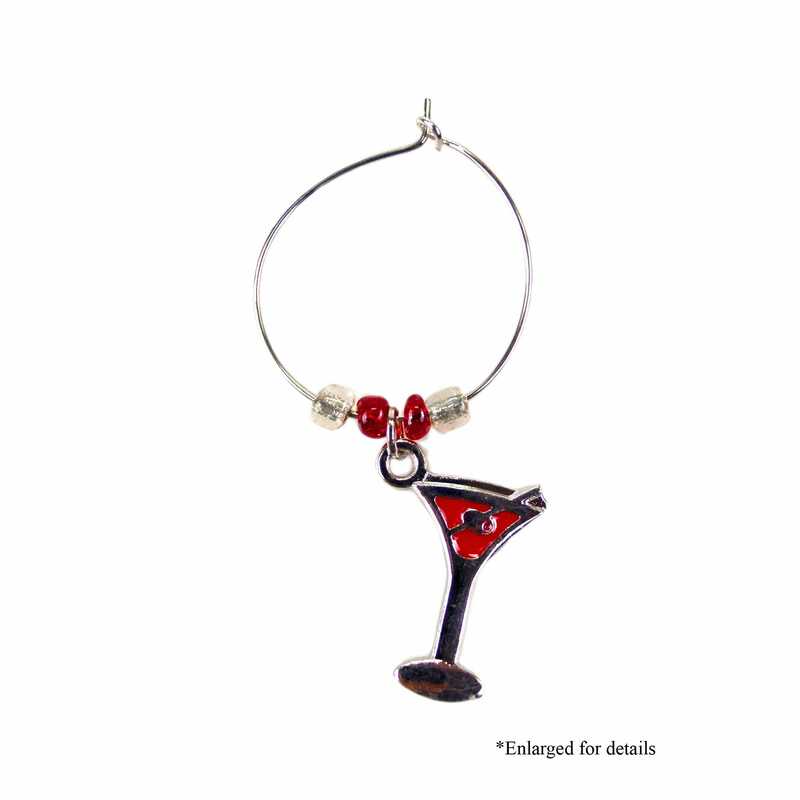 "Great for dressing up and color identifying wine glasses, this 6-piece Martini Wine CHARM Set features metal beaded rings with enameled metal martini CHARMs in 6 colors. Comes packaged in a hanging box." 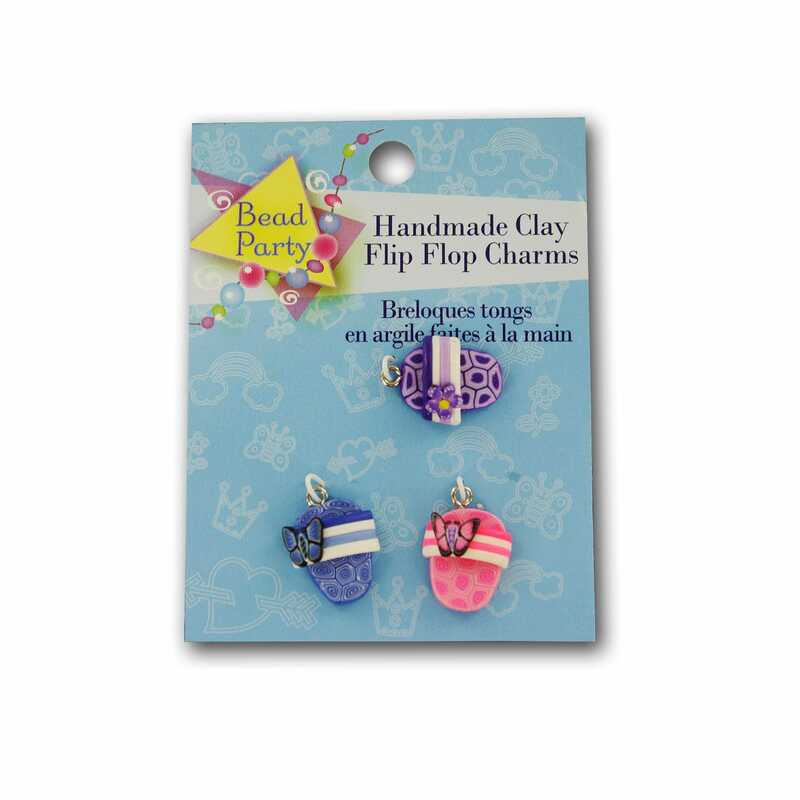 "A colorful 3 pack of handmade clay flip flop CHARMs. 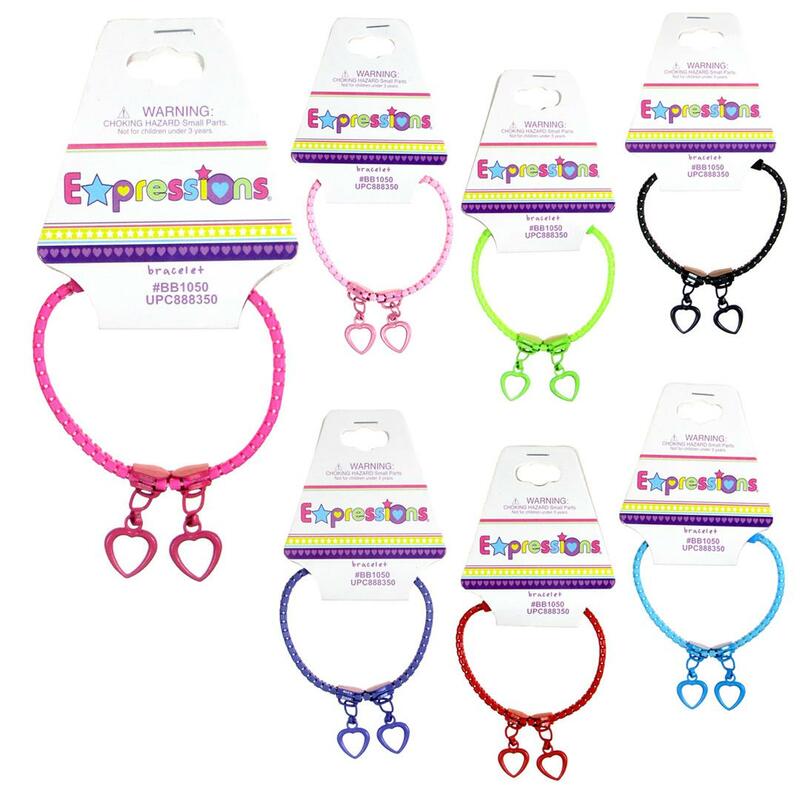 Comes in pink, blue, and purple CHARMs with clasps to secure them properly." Colors, As Shown. Unit Price: $0.75/Each. Colors, As Shown. Unit Price: $1.00/Each. 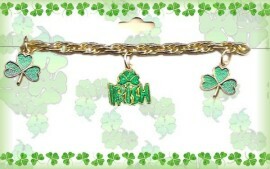 "Redken City of Hope bracelet has 3 CHARMs attached and measures approximately 7.5 inches long. This adorable bracelet has a durable clasp and comes with a Black Velvet carrying pouch." 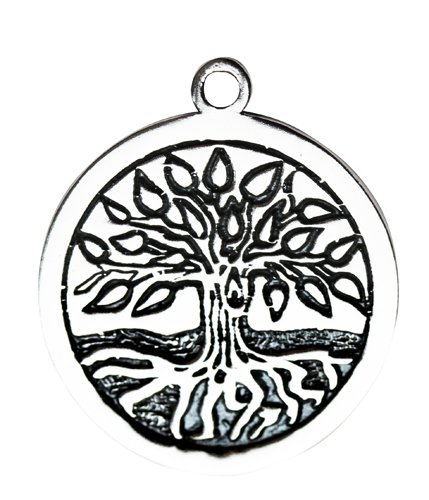 "Wholesale ""Best Sister Ever"" Cell Phone CHARM"
"Best Sister Ever Cell phone CHARM is made out of a thick rubber and makes the perfect gift. Measures approximately 4.5"" long and each pieces comes retail carded/UPC coded."